Crafting is simpler than you think. All you need is a little time and imagination. I have always loved to create things. Crafting has been one of my hobbies for many years. I use to make crafts and sell them to raise money for animal shelters. It was a great way to express myself and help others at the same time. I also use to create Christmas and Easter crafts to sell at local craft fairs to earn a little extra cash for the holidays. Making crafts for my family and friends is one of my favorite things to do. I have a few personal touches around my home that I made. I even sometimes buy items and add my own personal touch to them as well. Simple, inexpensive items can be transformed into wonderful gifts for family and friends. My son and his girlfriend recently took a trip to Ireland for St Patrick's Day week, so I wanted to surprise them with a little gift to thank them for the presents they brought back for me. 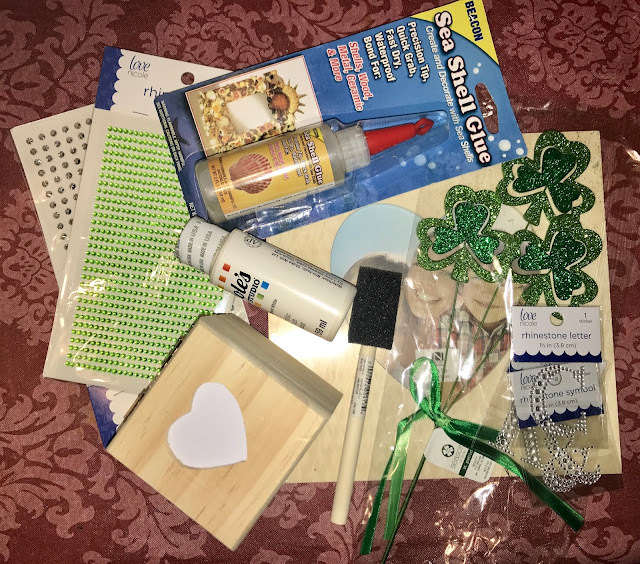 I visited my local craft store and picked up some inexpensive, unfinished wood products, craft paint, and glitter beading materials. I started by painting the unfinished wood frame and trinket box. I then added my own special touches to the crafts. The end result is a simple gift that can be cherished. It also serves as a reminder of the fun time they had together on their trip. The frame and box each cost a dollar. I added glitter initials and beading to the frame. I also added a shamrock that I got on clearance. I white washed the trinket box with white paint. 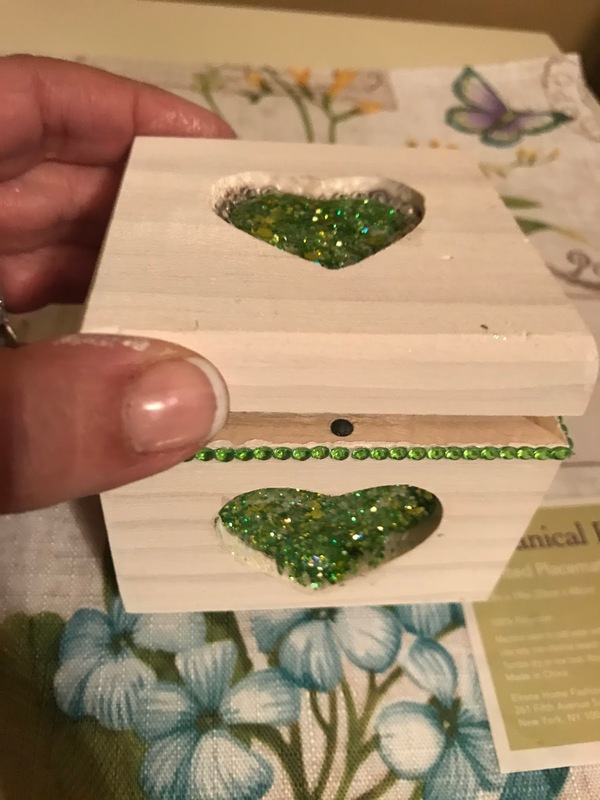 I then added beading along the edge of the box. 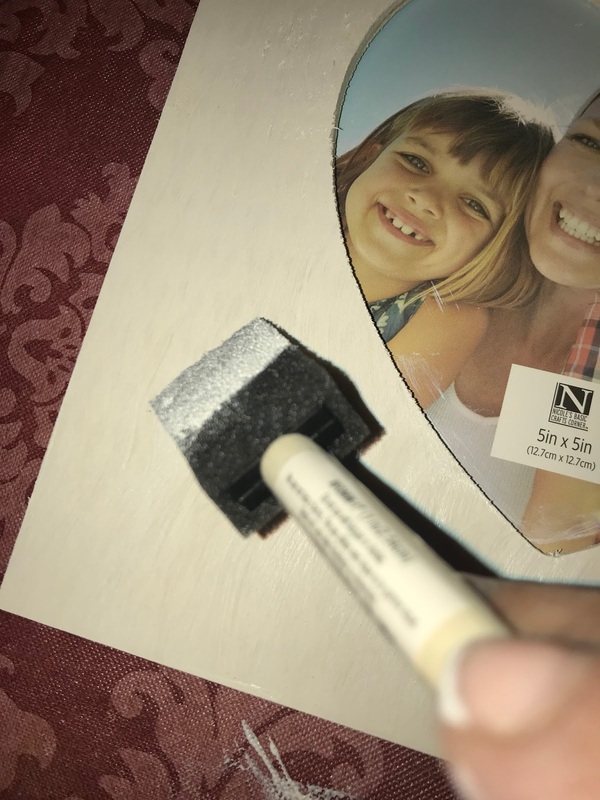 For the heart inserts, I used glitter paint. I simply poured it into the middle of the heart and gently moved it around with a sponge brush. I then thoroughly dried on a low cool setting with my blow dryer. The next time you need gift ideas for family and friends, don't be intimidated. 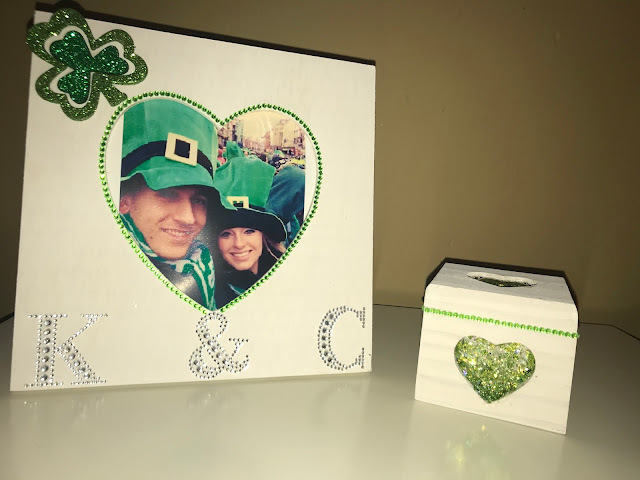 Head over to your local craft store, pick up some inexpensive, unpainted wood items, and create a unique gift from the heart. I guarantee you they will love it! Those turned out so cute! I love them! Thanks Dana. They were simple to do. Thank you. This one was so simple to do.